The Darwinian laws of software evolution have struck once again. As was reported last week by Gartner, OpTier is calling it quits. It’s no secret that OpTier and Dynatrace have competed fiercely over the years. But the disappearance of a well-known player in the Application Performance Management (APM) market is nothing to rejoice about. OpTier was once among the vendors at the forefront of the business transaction monitoring space. So, what happened, and what does it say about the APM market? Like any similar situation, OpTier’s demise is most likely due to multiple factors, but if we step back, a single picture starts to emerge; the APM market and the expectations of users in the space have evolved. First, the expectations for speed of implementation and ease of use have dramatically risen. Back in 2005, the primary enterprise software delivery model was still dictated by the HP’s and CA’s of the world. With that came the implicit expectation that business transaction monitoring software required months – if not ongoing services projects – to get implemented and maintain results. Public cloud vendors and the foundation of modern SaaS offerings were still in their infancy. With their rise came new expectations for simplicity and ease of use, which very few software vendors have then been able to embrace. Today’s expectation when evaluating an APM product is to be able to instrument applications and start delivering insights within hours. Looking at the success of our own Dynatrace and “APM as a Service” offerings, speed of deployment and simplicity have been two main drivers of their success. Second, the iPhone wasn’t released until 2007- two years after OpTier was launched. While this might sound “cliché”, the shift to a mobile-first culture has profoundly reshaped the role of APM. Prior to mobile, the focus had been predominantly on monitoring backend system performance. With the emergence of mobile and “systems of interactions,” came unprecedented end-user empowerment, and heightened expectation for availability and performance. And with every single customer having the ability to voice their discontent with your app, the focus of APM has expanded beyond transaction monitoring, performance and web. Today’s APM also includes analyzing customer behaviors across multiple channels. We have witnessed that transition first hand, and have seen an increasing number of our new customers prioritize an end-user centric approach to APM. Whether it’s mobile and web at the edge of the Internet, or SAP and Oracle in the enterprise, our ability to provide insights on an end-user experience has always been a strong differentiator. Finally, surviving a market in transition requires financial depth. OpTier’s market share and revenue, turned out to be too little to re-position and regain growth. That’s the harsh reality of today’s enterprise software business. The pace of change is unprecedented. Even with the right vision and the willingness to embrace a new market reality, financial strength critical. In the APM market, our sustained focus has allowed us to become one of the top 3 vendors from a revenue perspective. Combined with our focus on ease of use and new usage patterns, we believe that our financial strength positions Dynatrace uniquely in this market. If you’re an OpTier customer, you might be thinking about what’s next. Whatever your situation and level of urgency, we’re standing by to help you assess where you stand, and establish a migration plan. And with that, turn a dire situation into an opportunity to fast track your APM journey. 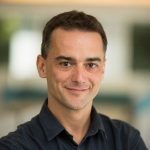 Nicolas is the Chief Marketing Officer at Dynatrace. Prior to Dynatrace, he led Product Management for the IBM Cloud Integration portfolio, which includes API Management, Cast Iron SaaS and DataPower gateways. Prior to joining IBM, Nicolas was VP of Product and Solutions Marketing at ILOG, the leader in business rules management system (BRMS) and optimization software. Earlier, Nicolas held several technical roles at Siemens and Bull Computers. He attended Stanford University and the Universite de Technologie de Compiegne, France, where he graduated with a MS in Computer Science.